Garden Waste Bins from councils in West Yorkshire and South Yorkshire are sometimes only collected for part of the year. If so, there are often no collections until Spring. You can usually take garden waste to the Household Waste Recycling Centre if you are eligible, although there may be a charge. Councils are not required to collect garden waste in the way they are with household waste, which is why many have introduced a charge. The bins are green or brown, depending on your Council. Where there is a charge the services often run through the year. 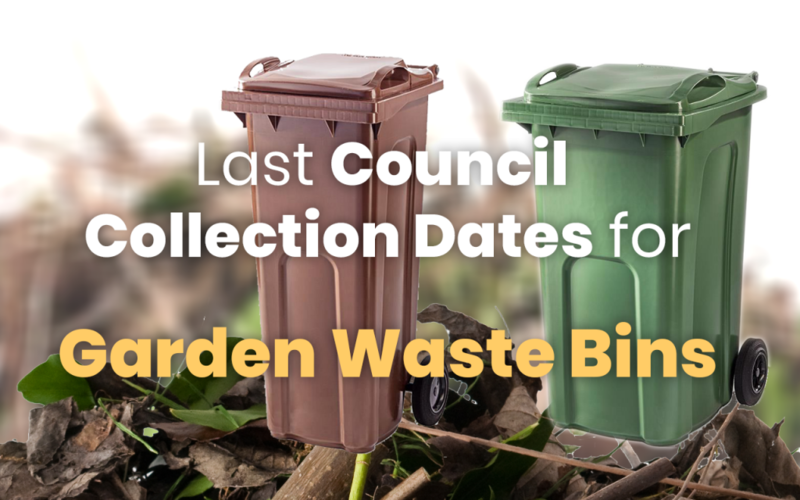 Last Garden Waste bin collection dates for local Councils…. This is a round up of the Councils that Yes Waste always covers. If you live outside these areas, please get in touch and we’ll be happy to arrange a collection from your area. Calderdale: Since Calderdale Council’s Garden Waste Service is chargeable, it runs all year. Bradford: Bradford Council have a paid-for, monthly service which runs all year. Sheffield: Veolia have a fortnightly chargeable service which ended in November. Rotherham: Garden Waste in Rotherham is collected in a brown bin all year round. There is a charge. If you need garden waste collected outside of these times, contact Yes Waste. Our Collection Teams can help you collect the rubbish and we can take it to be recycled. The Garden Waste Collection Service allows you to have mixed waste too, so you don’t need to spend as much time sorting it out into different types. To book a collection, email Yes Waste on info@yeswaste.com, or call 0800 058 2522. Lines are open from 8am to 6pm. You can also use the chat function on each page.